Austin Shuffield allegedly attacked the woman after telling her to move her car because it was blocking the parking lot exit. 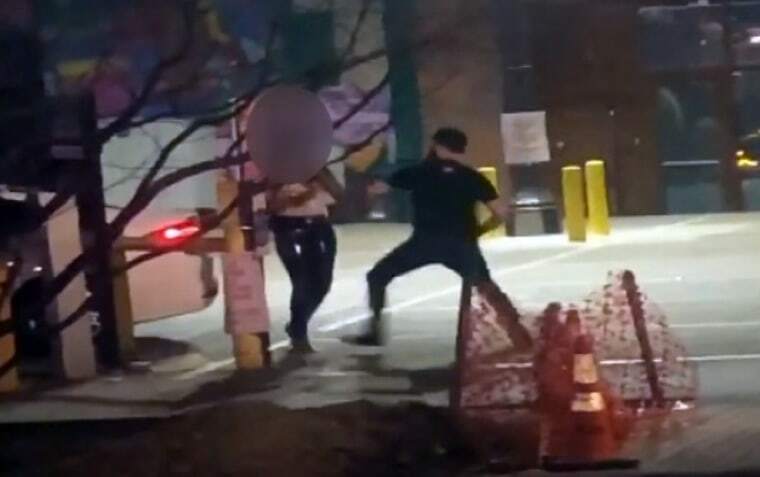 A Texas man caught on video violently punching a woman in a Dallas parking lot as she called 911 on him was arrested on an assault charge, authorities said. Dallas police said it was called to the Deep Ellum neighborhood before 4:30 a.m. on Thursday for a "major disturbance" between a woman and Austin Shuffield. The attack was caught on a witness' cell phone and appears to show Shuffield slap the woman's phone out of her hand then punch her at least five times in the face. The woman, 24, who police did not name, told officers that she was driving the wrong way when Shuffield stopped her, got out of his truck and told her to move her car because it was blocking the exit to the parking lot, a police spokesperson said. The woman said after she moved her car into the parking lot, Shuffield walked up to her and they got into an argument. When the woman pulled out of her phone to call 911, she said Shuffield smacked her phone out of her hand, according to police. Austin Shuffield.Dallas County Sheriff's Dept. Shuffield, 30, was charged with one count of assault and interference with an emergency call and is being held at a Dallas County jail on a $2,000 bond. He was also fired from his job at High & Tight Barbershop, a 1920s-themed barbershop and speakeasy, where he worked as a bartender. "We do not stand behind the actions that took place and hope that the full weight of the law comes down on this incident," the shop posted on Facebook.